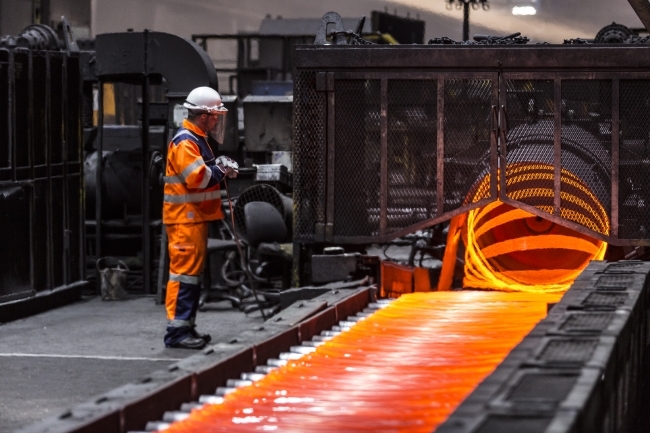 A new report released by EEF, and business advisory firm BDO LLP, shows that the manufacturing industry is continuing to increase its importance to the UK economy, with growth in many key business areas. The number of manufacturing businesses in the North East region has grown by 3.1% in the last year alone, while the number of jobs has increased by 7% since 2010, representing the second highest growth rate of any UK region. In the West Midlands, the region has the second highest number of manufacturing businesses in the UK (behind London & South East), accounting for one in ten jobs and approaching one-fifth of the West Midlands’ economy overall. The report also highlights the critical importance of manufacturing to the East Midlands economy. The sector has seen manufacturing jobs increase by 8.8% since 2010 and now employs 297,000 people, representing 12.3% of the region’s workforce. The sector also accounts for 16.7% of regional output – a higher contribution than any other region in England. A further look at each region and its performance is included in the full story below – with access to the full report also available. Eight years after it created the compact crossover segment, the one millionth Juke has rolled off the line at Nissan Sunderland Plant. On average, a brand new Juke is built at the plant every 105 seconds. Juke was the second crossover to be built at the plant, following the pioneering Qashqai, which went into production in 2006 and began Nissan’s leadership of the crossover market. More than three million Qashqai have now been built in Sunderland, following Micra (2.4m) and Primera (1.5m) as models to have hit seven figures at the plant. The one-millionth Juke built in Sunderland was a Tekna grade in Vivid Blue, the most recent colour to be added to the range. Kevin Fitzpatrick, Senior Vice President Manufacturing, Supply Chain Management and Purchasing, Nissan Europe, said: “Reaching the one million milestone is a fantastic achievement for any model. Eight years ago we had never seen anything like the Juke before – it created an entirely new segment and brought a distinctive never-seen-before look to the market. Fast forward to today and we have one million customers and Juke remains the segment leader.” Well known for its distinctive sporty styling, the 2018 Juke comes with a host of interior and exterior personalisation choices. More than 23,000 different versions of the latest Juke are currently available for customers. McLaren Automotive has announced an ambitious, wide-ranging business plan that will take the company to its fifteenth anniversary. Announced at Goodwood Festival of Speed, Track25 is an evolution of the Track22 plan that was first launched at the Geneva Motor Show in 2016 and the updated plan now includes significant new milestones. Track25 sets out a clear roadmap for future vehicles, production and technology that will allow the brand to continue to position itself as a major global player in the sportscar and supercar market. McLaren says it is committed to ensuring that its sportscar and supercar range will be hybrid within seven years. The company will also continue its drive to win the new supercar ‘weight race’ by ensuring, as it does today, that each of its products is the lightest in their segment. This complements a £50m investment in developing and manufacturing the future of lightweighting technology with the soon to-open McLaren Composites Technology Centre (MCTC). Once fully operational, the MCTC will mean around 57 per cent of vehicle content by value will be UK sourced. While staying faithful to the core idea of creating and hand-assembling the world’s best drivers’ cars, McLaren will remain focussed on crafting mid-engined sportscars and sportscars. Investment in 18 new models or derivatives will help lift production by almost 75 per cent over current levels to around 6,000 cars a year by the middle of the next decade. 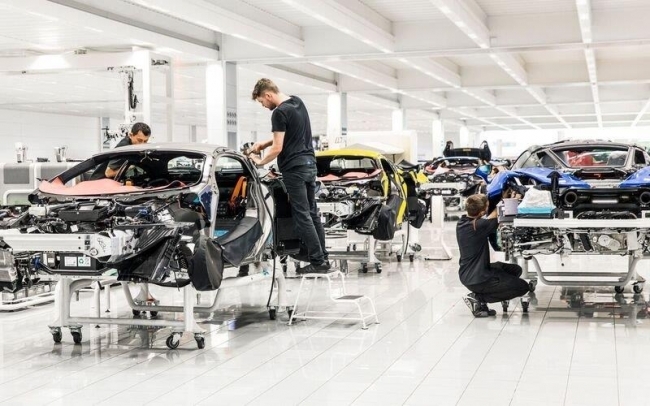 As now, all will be hand-assembled at the McLaren Production Centre in Woking. 5. Manufacturing. It’s brilliant, isn’t it? It’s so brilliant, in fact, that large numbers of us make a living from it, working in and for businesses that make anything and everything from crisps to cars. Manufacturing isn’t just about taking some raw materials or components and putting them together to make more than the sum of the parts. It’s about striving for excellence; constant evolution in process; development, design and improvement of products; and it’s about responsibly and sustainably creating the things we all can’t do without (even though half of the time we probably should do without them!). Manufacturing, above all, is also about people. It’s the human parts of the machines that really make the factories work. It’s about the people who procure materials, who plan production, who design the products and develop the manufacturing process. It’s about the people who market, sell and look after the products, and it’s about the visionaries who spot a need and ask themselves the question, “what can I do to fill that gap? what can I build to satisfy that need”. The latter are the ones who drive the creation of new manufacturing businesses and create the demand for factories. They bring jobs to tens, hundreds, or even thousands of people. We really can’t do without them. In this article, Dan Burrows from Waterstons shares his thoughts on the human factor of Industry 4.0 and why the future will bring more interesting and more exciting opportunities for us. Got photography skills? The #EEFPhotoComp ‘Future Technology’ category is looking for photos of automation, robotics, digital and clean and sustainable technologies. It’s easy to see the immense potential in wearable devices for the average consumer. Between fitness and health tracking, mobile notifications at a glance, and even contactless payments, a ton of cool features already exist. But the technology also shows a lot of promise in the business and enterprise world. Healthcare is a notable example, where wearables can be used to collect information about hospital patients. But these tools can also have a place in manufacturing, especially with the rise of IoT and connected machinery. This article looks at seven potential applications within this sector, including safety awareness and injury prevention, remote management opportunities, situational awareness and authentication and security planning. The number of people in employment in the UK rose to a fresh all-time high in the three months to May, according to the latest data from the Office for National Statistics (ONS), released on Tuesday. 32.4 million people were in work during the period, a highest since the current method of calculating the UK’s employment rate began in the early 1970s. It represents an employment rate of 75.7%. “We’ve had yet another record employment rate, while the number of job vacancies is also a new record. From this, it’s clear that the labour market is still growing strongly,” Matt Hughes, a senior statistician at the ONS, said in a statement. As employment rose, unemployment fell, with 12,000 fewer people out of work than in the previous period, the ONS said. The UK’s unemployment rate remained at just 4.2%. There were also a record number of job vacancies, meaning that the number of Brits in employment could rise significantly in the near future. Employers reported 824,000 job vacancies for the period between April and June, the highest number since comparable records began in 2001. Despite the positive topline numbers, there was an unexpected rise in the number of people in the UK claiming benefits. The claimant count rose by 7,800 people in the data period. Wage growth also moderated slightly, with the average UK earnings increasing by 2.7%, compared to 2.8% at the last data release in June. However, wages are still growing faster than inflation, meaning Brits are seeing real wage increases. A compelling World Cup in Russia has drawn huge numbers of television and social media viewers. One estimate suggests that 3.4 billion people across the world will ultimately have watched the tournament at some stage. Yet something significant is happening inside this number, as people shift their consumption of the World Cup online. For instance, though the US didn’t qualify, a record 7.7m Americans streamed the game between Argentina and Iceland. This compares to highs of just 1.5m and 3.2m people during the 2010 and 2014 World Cups, both tournaments the US qualified for. In Britain, a similar trend has been evident, the BBC identifying peaks of more than 3m people streaming matches through its website at once. During the Brazil World Cup four years ago, the BBC clocked up 32m online match views across the whole tournament. This year, that figure was reached by the end of the group phase. Audiences are not just watching matches online though, they are also posting on social media at the same time. For example, during England’s last-16 match against Columbia tweets peaked at 127,000 per minute during the penalty shootout. Whereas people used to sit in bars and living rooms arguing about tough tackles and fantastic goals, they now inevitably seem more likely to share their views on social media. This article takes an interesting look at the nature and content of social media chat during the World Cup by examining Twitter conversations, who was leading them and who was influencing them. Over the past week, one person who seems to have mastered how to handle Trump and get the better of him without even noticing? Our one and only Queen Elizabeth II. It turns out that she may have been sending us all coded messages via the medium of her brooches this whole time. Yes, her brooches! Twitter user @SamuraiKnitter has pointed out that on the first day of the Trump visit, the Queen wore a simple green brooch that was given to her by the Obamas to signify their friendship. On the second day, she wore a brooch given to her by Canada, a country with which Trump is less than pleased at the moment (also, it was in the shape of a snowflake, a classic Trump term for people who disagree with him.) And, for the last day, she chose a brooch the Queen Mother wore to the funeral of King George VI, so not one associated with happiness and joy. Queen’s brooches: 3. Trump: 0. Is this all reading too much into it? Well, it is known the Queen does choose her brooches according to the theme of the day, such as the love knot brooch she wore to William and Kate’s wedding. And, let us never forget the exciting time last year when, to open parliament, she wore a hat bearing a striking resemblance to the EU flag. Has the Queen been trying to talk to us all this time and we just didn’t notice? Because we know she’s not allowed to make political statements, but what if she’s been sending them to us through her wardrobe? My God! I hereby declare that, like the British government, we all take an early holiday and spend the next couple of weeks combing through photos of the Queen!